Cased openings are passageways that do not have a door. They get their name from the casing (or trim material) customarily placed around the opening to set it off from the surrounding wall. 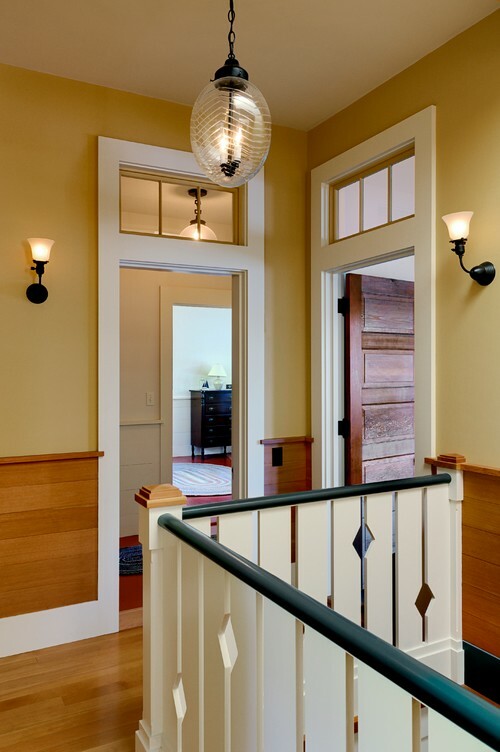 A transom above a cased opening adds style and interest to an otherwise plain passageway. Traditional Bedroom by Greer Home Builders Gabriel Builders Inc. Hints: Transoms above cased openings are sized to leave a minimum 6 feet 8 inches between the bottom of the transom unit and the finished floor. The transom unit for a cased opening includes the transom sash, jamb, and a second piece of jamb material added below the sash to make the bottom "thicker". This bottom piece is purely aesthetic, and the gap created by it and the jamb is usually covered with mullion. Typical heights for transoms over cased openings are 10", 12" and 16" for ceilings heights of 8', 9' and 10' respectively. Transoms over cased openings can be any width. As always, when setting transom height, confirm the level of any structural headers above the transom, and be sure that any planned crown will clear the transom and any casing surrounding it. Similar to a cased opening, a transition is usually larger and is meant to join two rooms together such as a kitchen and a breakfast area. 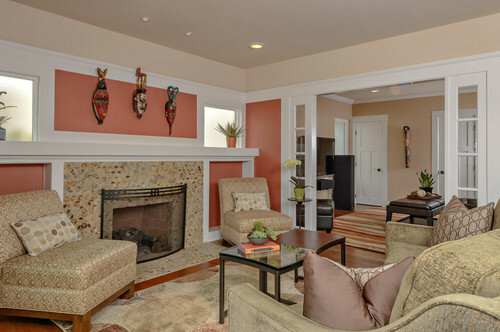 Hints: Transitions often employ other trim elements such as columns, arches and half walls as well as transom windows. Look at a lot of pictures to find a transition that fits your purpose! 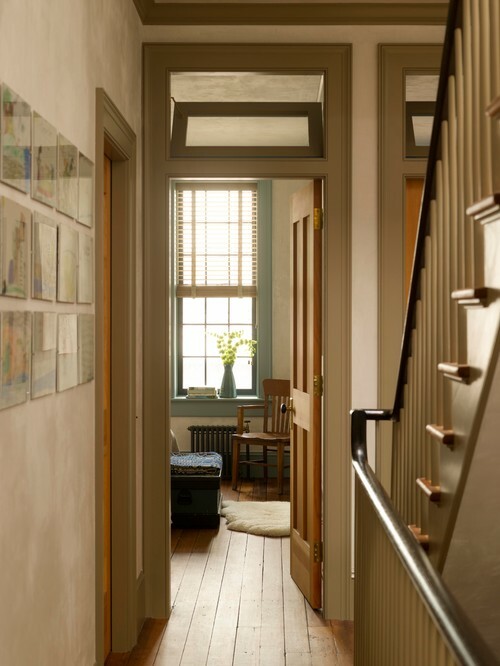 Besides being beautiful and adding light to a room, historically transoms were added over doors and opened to assist in ventilation when the door was closed. 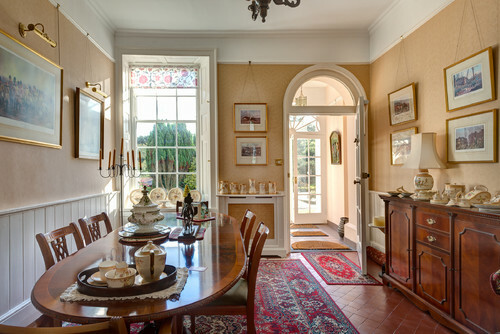 With the advent of air conditioning, people begain deleting the operating mechanisms for simplicity and cost reasons, but transoms continued in their role of providing interest and style to ordinary door openings. Hints: Transom windows above doors are ordered in the exact width of the (swinging) door slab below. Half-round transoms like the one above are sized based on their "base width" -- which also corresponds to the door width. So a TR-8-30HR is 3 feet wide matching a 3'-0" door. Since a jamb will need to be used to connect the transom sash to the wall, allow an extra 2" in width and 2" in height for the hole above the door. Dating back to the 17th century renaissance, French Doors originated as windows that went all the way to the floor allowing homeowners to enjoy light in their home for a longer part of the day. 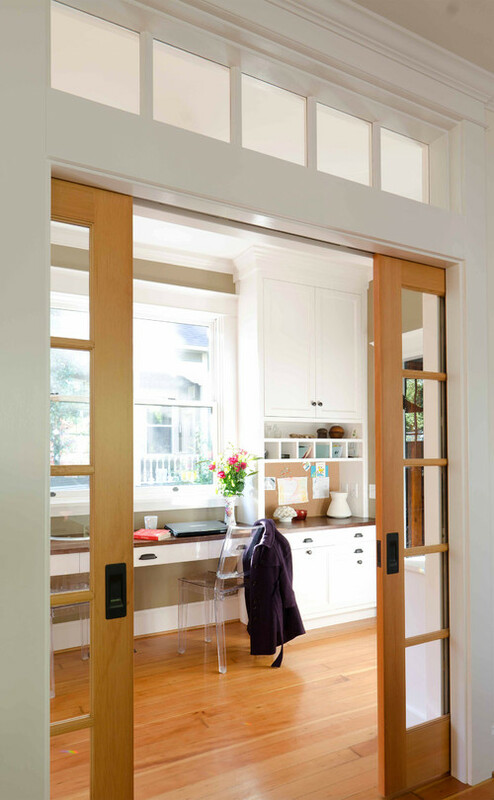 The idea of putting a window in a door spread quickly -- since everyone already had exterior doors in their home. Soon after, the interior version of French Doors emerged and the rest is history. Hints: Although "French" usually refers to glass in any door (even a single door), French doors frequently come in pairs. 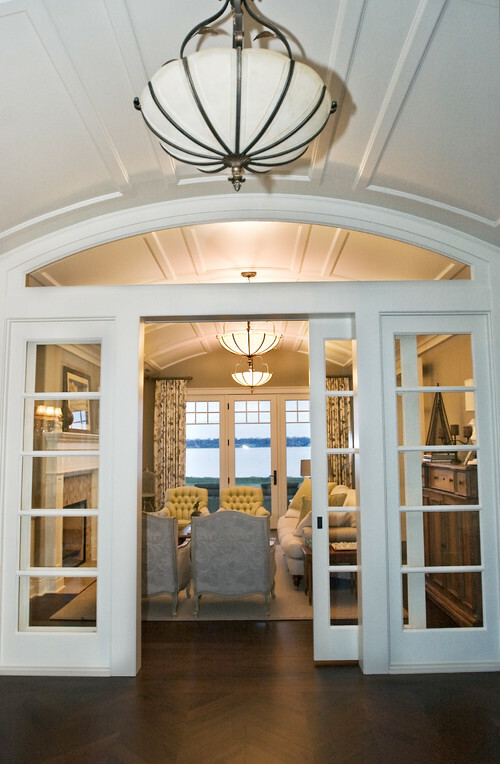 When ordering a transom for a pair, the transom sash length should equal the combined width of the two swinging doors. So a pair of 2'6" doors would need a 5'0" transom. Also, it's ok (even encouraged) to vary the style of the transom from the doors. 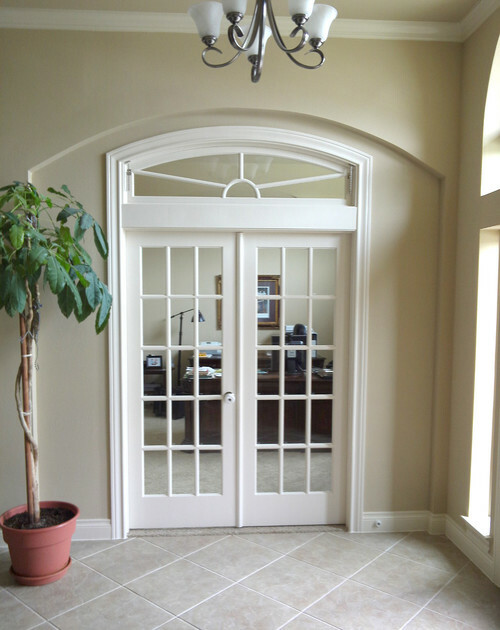 So a single pane French door could have a transom above with angles, diamonds or even curves. Pocket doors slide into the walls and are hidden when not deployed. They are a great solution when you don't have room for a door swing in either direction. 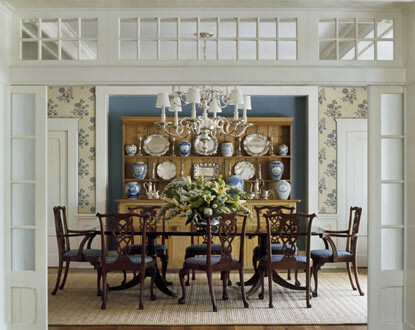 When the doors are stored and a transom is placed above, the passageway serves as a cased opening with a transom above. 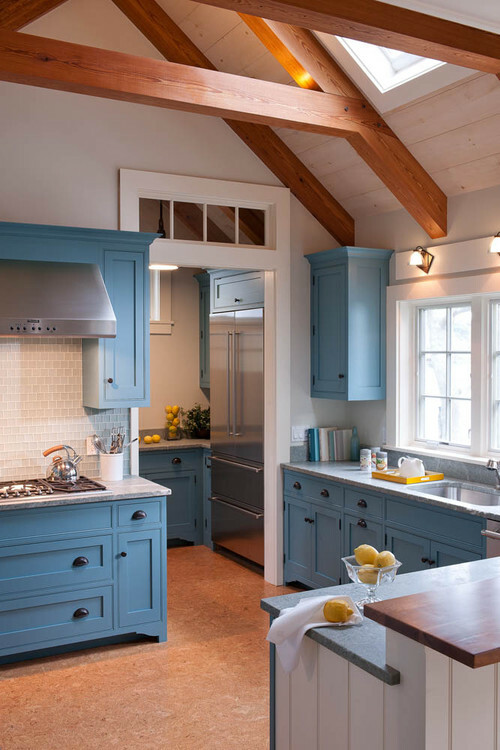 Hints: Pocket doors can be a bit tricky to install because they hang from a track above each door. To build a pocket door, you need a door slab and a pocket door kit for each slab. Place a small header (maybe 3-1/2") separating the door opening and the transom hole. The pocket door tracks are attached to this header. Notice that the doors above are stained and the transom is painted. This simple trick can make an opening feel more casual than its all-stained or all-painted counterpart. Sidelites are commonly placed on flanking sides of door or opening to increase the light or "open" feeling. As shown below, side lites can contain clear glass or some artistic glass pattern that provides additional privacy. Hints: Sidelites almost always have to be tempered glass, even indoors, depending how far they are above the floor. Sidelites do not need to be full door height. Many interesting designs can be created with 1/2 or 3/4 tall sidelites. By combining transoms, sidelites and doors you can create a variety of unique designs. How long until product needed? Just press Submit or enter additional emails for contractors, friends, etc. below.